Four people have been taken to hospital, after a car crashed into a power pole, bringing down power lines at Wyoming. A red hatchback was turning right off the Pacific Highway, when a white sedan struck it from behind, pushing it into oncoming traffic. A silver SUV also slammed into a power pole during the chaos, trapping three people. 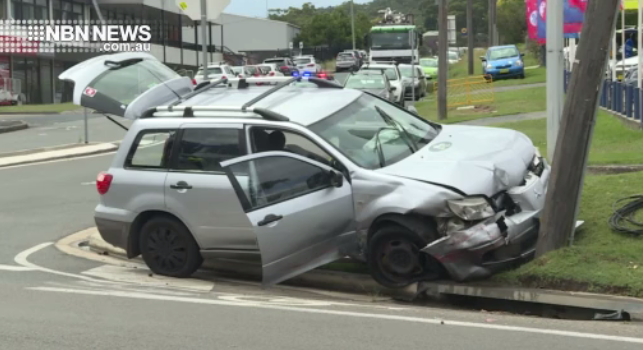 Two women and a man were taken to hospital, with suspected spinal and pelvic injuries. The driver of the hatchback suffered leg injuries.